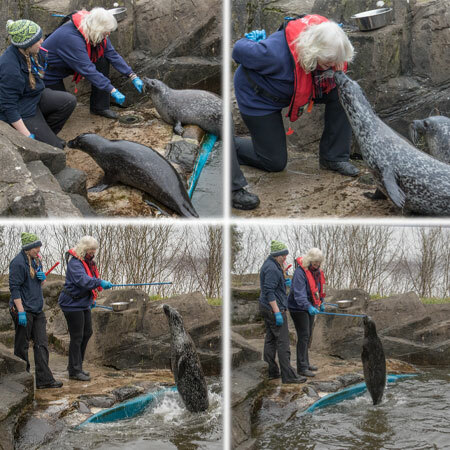 The Scottish SEA LIFE Sanctuary - Would you like to interact with the seals during feeding time? Would you like to interact with the Resident Seals during feeding time? This fantastic experience is strictly limited to two people per session and is available after each talk. (Participants must be over 10 years old). For further information or to take part, Please call the Scottish SEA LIFE Sanctuary on 01631 720386 or click here to find out more.